Coconut Oil has been found to be one of the most healthful fats that people can eat, and it has powerful antibacterial and antiviral properties. Populations in southeast Asia and the Pacific islands who use coconut oil as the primary source of fat often have less heart disease than people of other regions. 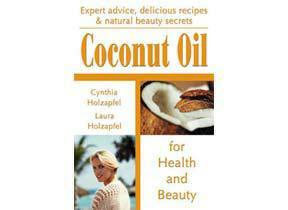 Included are over 20 recipes for using coconut oil, grated coconut, and coconut milk in both delicious recipes and health care products, as well as instructions on how to prepare fresh coconut foods at home.